We have already mentioned the deeds of Senna in karting and the misfortune that persecuted him, leading to his failing to win what might have been at least two world titles. The duel with Terry Fullerton, the Irishman being the driver to beat in the 70s. And again on the eve of the 1980 World Championship in Nivelles, Fullerton presented himself as the favorite. Fullerton had won virtually all the races of the season he had participated in: the Champions Cup (Jesolo), the British Championship, the North American one. Besides, in Nivelles Fullerton was at home. 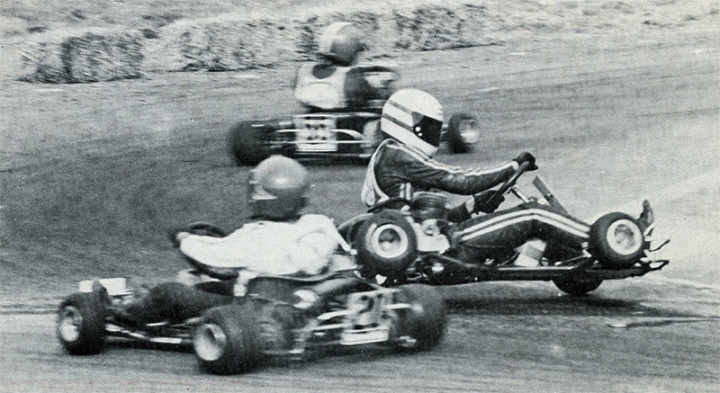 On this track he had won his only world championship, in 1973. There was only one driver who could bother Fullerton and that on one occasion, a secondary competition like the Swiss GP, had even beat him (and it was the only race lost by Fullerton). That driver was Ayrton Senna Da Silva. For the Brazilian, the race in Nivelles was an opportunity to make up for a past season full of excellent performances, that however almost never ended with a victory. The organizers had reserved him the number 17, but he was not superstitious. Regardless of whatever happened in the end, in the field, on track, Senna was proclaimed the protagonist of the world championship. His always running from behind through the pack, so impetuous and his late braking had made him the idol of the public that more than following the race itself watched his rise through the ranks. The Brazilian was their focus! Ayrton seemed to have the title in his pocket, because the two best scores counted. Considering as already discarded the first final, the Brazilian had a first place, that is, zero penalty. De Bruyn had two second places and, should he win the third final he would still, however, have two penalties. Hence, it was clear that it was enough for Senna to reach the second place to be on equal terms with De Bruyn - and to win thanks to the best placement of the elimination rounds. But in the last final, the Brazilian did not manage to go beyond the third place, and this time it was the Swiss Gysin who ruined his party, with Gysein second at the finish line.